The new year is upon us once again. And once again millions will be making their "New Year's Resolutions", a majority of which will focus on some sort of healthier living goal. 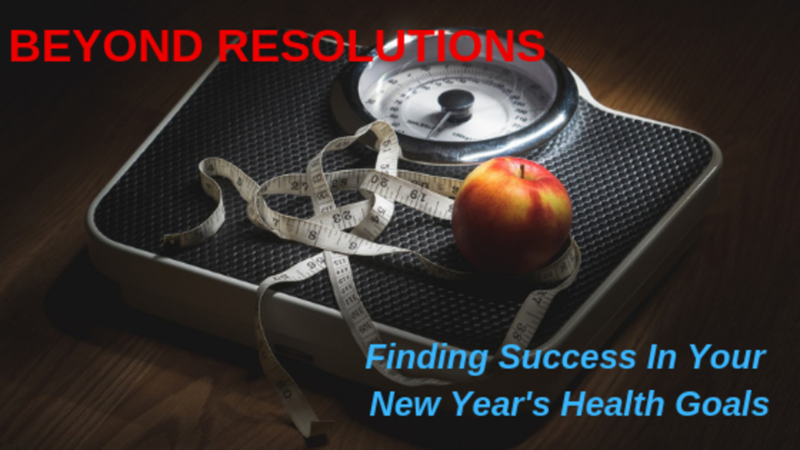 Losing weight and getting in shape always seem to top the list, yet it seems that every single year more and more people set these as their resolutions and more and more people fall short of their goal. Even though it's almost joke worthy at this point, the sad reality is that nearly 80% of those that make new year's resolutions will have already given up on them by the second week of February. That's not even making it 12% into the year! You know what I'm talking about. January 2nd rolls around and the gyms are packed, everyone's talking about the new diet they're on, and people have the greatest intentions. But give it a few weeks or a couple of months at the most and very few of those who were well-intentioned in this new pursuit are still standing in their endeavor. When it comes to the physical side of healthy living, there are a lot of people who lack the proper understanding of exactly what a good workout and good overall plan looks like. In general, there is a lack of clarity among gym goers about the basics of what constitutes the right exercise program for them. Some people go to the gym and in a basic sense just do random exercises with various machines and equipment. They don't have any real structure and they don't have any particular goal or way they are tracking progress. Others see what someone else is doing, think it looks good, and then try to emulate what the other person is doing. Maybe they even see several different people and try to do a mix of things they see without really knowing why or how.